In our Wake Leadership Training program, we believe that the best way to learn how to be a good leader is to be one. To do to it well and enjoy the feeling of accomplishment. To sometimes do it not so well and learn from those mistakes. That’s why we’ve built our leadership training program that’s heavy on hands-on experience, coaching, and encouragement. Some children come in to the world primed to become artists, computer whizzes, or athletes. But these intrinsic qualities are only a small part of the story. Achievement often requires countless hours of practice to build the skills necessary to succeed. Download our 2017 CIT Application. For Counselors in Training who have time available over their Track Out or Discovery Day dates, we offer a less structured leadership training opportunity. Current CITs may volunteer to take part in our seasonal camps without a formal evaluation. They will still receive verbal feedback and personalized goal setting assistance. The application deadline for the 2017 summer season has passed. Still have a few questions? Read through our Leadership Training Frequently Asked Questions, maybe you’ll find your answer! If not, feel free to give us a call at 919-477-2116 or email us at schoolhouse@schoolhouseofwonder.org. 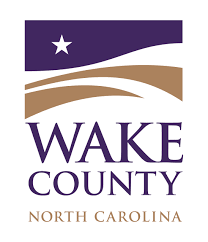 Wake programs located at Umstead State Park are made possible through our partnership with North Carolina State Parks and programs at Harris Lake County Park are made possible through our partnership with Wake County Parks & Rec.